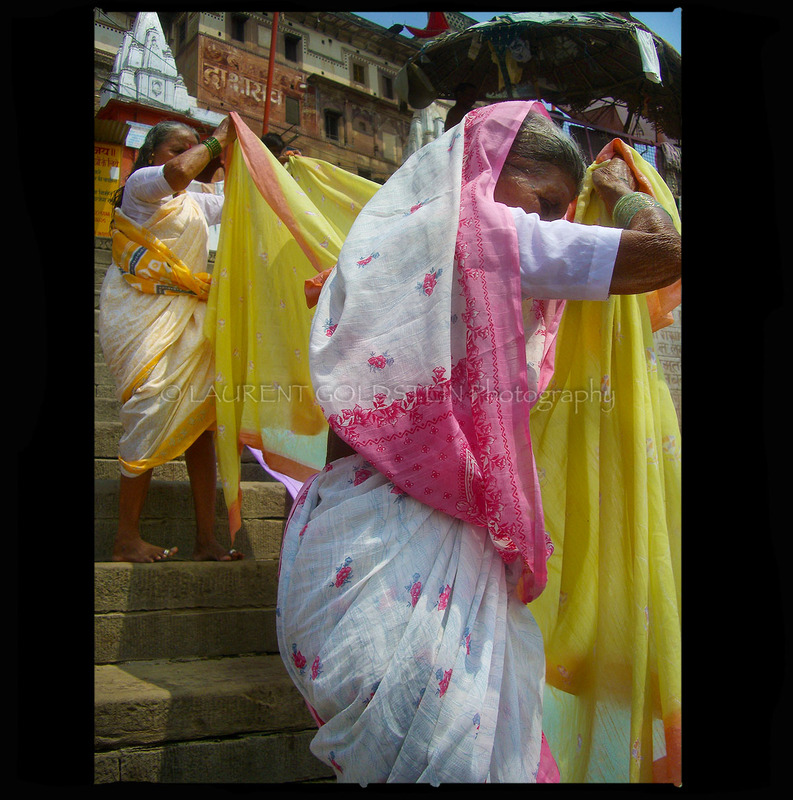 One early morning those ladies came from far away to worship in the holy waters of the Ganges in Varanasi (Benaras). It was a Monday, Lord Shiva’s day and as Shiva is the God of the city it was an auspicious day for them. After taking a deep in the river, they washed and stretched many clothes along the ghats. By the amount of items drying under the sun, it was clear that those pilgrims had a long journey. This entry was posted on February 11, 2013 at 16:43 and is filed under The Oldest Living City in the World with tags atmosphere, भारत, benaras, benares, close-up, colours, culture, dawn, devotion, dharma, dignity, dream, elder, expression, fabric, faith, femininity, ganga, ganges, garment, ghats, heritage, human, india, kashi, morning, mystery, people, photo, photography, pilgrim, quietness, river, saree, sari, shanti, silk, soul, sunrise, timeless, tradition, uttar pradesh, varanasi, winter, woman. You can follow any responses to this entry through the RSS 2.0 feed. You can leave a response, or trackback from your own site.